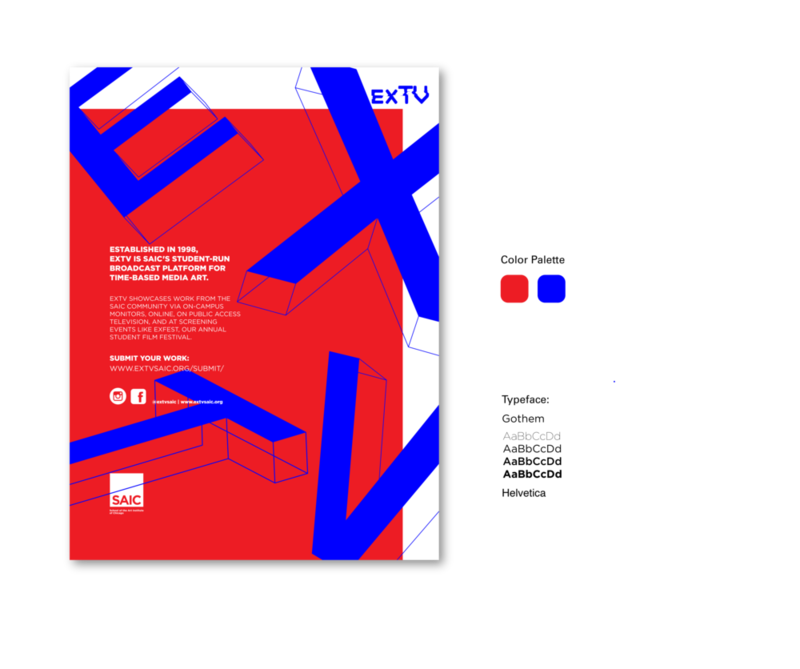 Experimental TV (EXTV) is a student-run time-arts platform. It showcases work from the SAIC community via on-campus monitors, online, on public access television, and at screening events. The new look runs away from the stereotype of experimental film — glitch art and neon light. it displays the variety and diversity of EXTV. The play of typography and bright color express the energy and inclusivity of the student-run group.